This balloon is based on Ellie, a lovely Labrador who attended Chris and Amy's wedding, Ellie was amazinly well behaved and she is such a wonderful dog, I had been thinking of making Ellie into a balloon and then I had a message from her mum asking if I could do it, how could I resist? 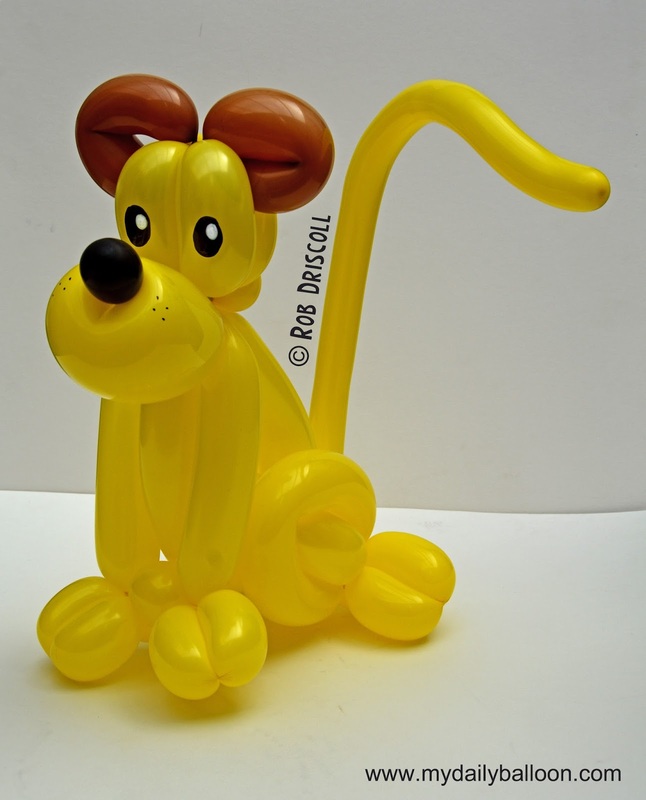 Ellie the Balloon Labrador is made from 7 balloons, the muzzle is made from a 350, the tail is a 160, the rest is made from 260 balloons. You can keep up to date with all the latest news and sculptures by heading over to Facebook -www.facebook.com/mydailyballoon and hitting the 'like' button, then feel free to share it with your friends.